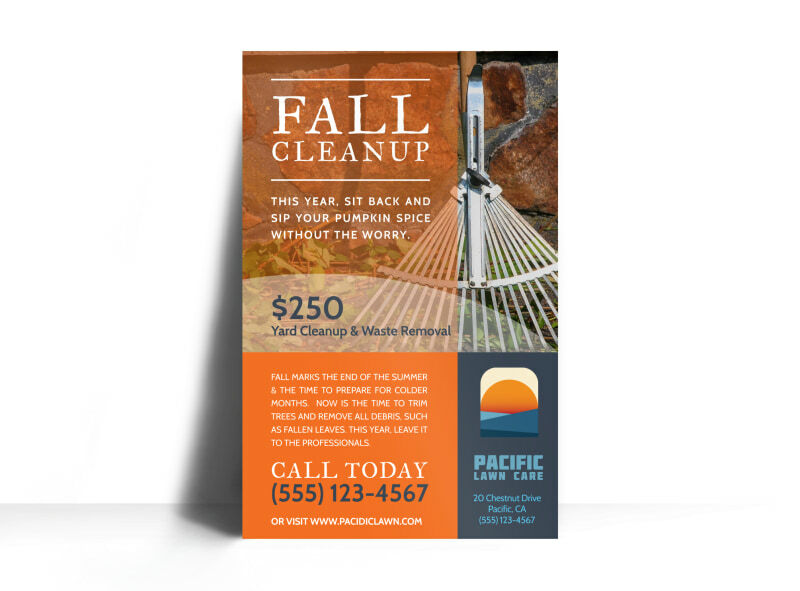 Customize our Lawn Mowing Fall Cleanup Poster Template and more! Fall is in the air, and it’s time for beautifying the outdoors--so remind clients of your services with this handsome customizable poster. Customize this template using our online editor by adding your choice of images, text, colors, and other design elements to make your poster stand out to all who see it. The design process is fast and fun, so get started now!